LOS ANGELES, Calif. /California Newswire/ — Mortgage Quality Management and Research, LLC (MQMR), a leader in mortgage risk management and compliance services, today announced that 2017 was a banner year for the company, marked by the launch of two new auditing programs and the addition of senior-level staff members. Growing demand for additional audit and compliance services led MQMR to expand its selection of audit programs across its family of companies, including Subsequent QC and HQ Vendor Management. In 2017, the firm introduced a MERS audit program and a Home Equity Conversion Mortgage (HECM) servicing quality control (QC) program. 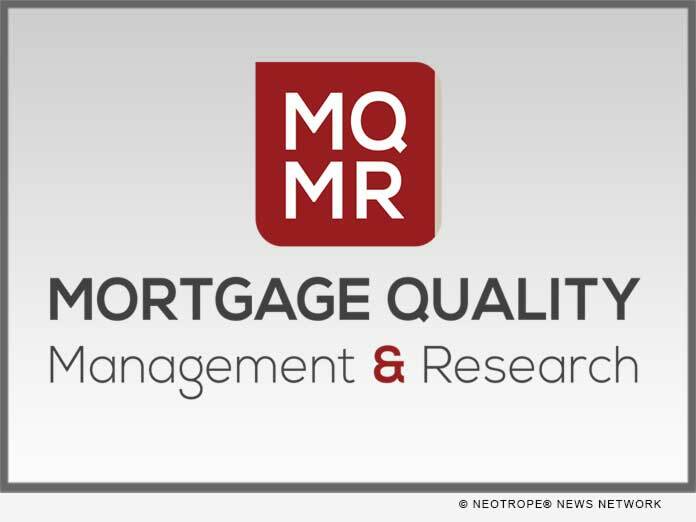 “More mortgage servicers are turning to us to establish and manage ongoing compliance measures due to the increasingly variable and complex nature of servicing oversight requirements,” said Michael Steer, president of MQMR. “In 2017, we completed more than 25 on-site servicing and document custodian audits for subservicers and lender servicing departments. Our ongoing monitoring services provide indispensable value to our clients because they include tools and recommendations for optimizing operations performance on top of ensuring regulatory compliance,” he said. Other notable 2017 performance milestones include completing more than 1,700 vendor reviews, more than 200 originator reviews, more than 50 internal audit reviews and 10,000+ loan level servicing audits for clients. Based on the invaluable data gathered and best practices observed during its reviews and audits, MQMR also launched a free bi-weekly FAQ newsletter in 2017 to provide guidance on points of compliance and counterparty risk management. Interested parties can sign up here. MQMR also saw a 14 percent revenue increase in 2017, in line with the firm’s projected revenue growth for the year, according to Steer, and in contrast with last year’s overall mortgage industry decline. The firm has enjoyed growth every year since its inception in 2011. Additionally, MQMR expanded its leadership team, hiring two senior-level staff members to manage the growing company: Julie McCurley, as Director of Operations, and Mitchell Nomura, as Internal Audit Manager. With extensive expertise and experience navigating federal, state and agency regulations, McCurley manages expanding regulatory and compliance monitoring service needs. Nomura oversees the internal auditing team dedicated to diagnosing compliance and operational risks for mortgage lender clients who must meet GSE internal audit requirements, a function the agencies are beginning to examine more closely. MQMR bridges the gap between risk and compliance through its suite of risk-related services. Since its inception, MQMR has launched multiple products and services to assist lenders in navigating regulatory requirements, providing mortgage compliance consulting throughout the origination process, servicing QC and subservicing oversight to master servicers, and filling the void of meeting vendor management oversight requirements. With 2,000+ operational reviews of mortgage companies, subservicers, document custodians, and vendors annually, MQMR prides itself on being an industry leader in counterparty risk and compliance. To learn more, visit mqmresearch.com, subsequentqc.com, and hqvendormanagement.com.